The cool front didn’t scare away any of the rodeo rowdies that made up the capacity crowd at Tejas Rodeo on Saturday, October 19, 2013. The competition in the timed events was stiff and the drop in temperature had the bulls bucking extra rank. In addition to the pageantry of the Tejas Rodeo Rough Riders we had a special appearance by Craig Davies and his broke-to-ride registered Texas Longhorn “Oreo.” Outdoor fire pits and award winning cuisine at the Tejas Steakhouse and Saloon kept us warm and our bellies full. See below for photos, results and personnel. 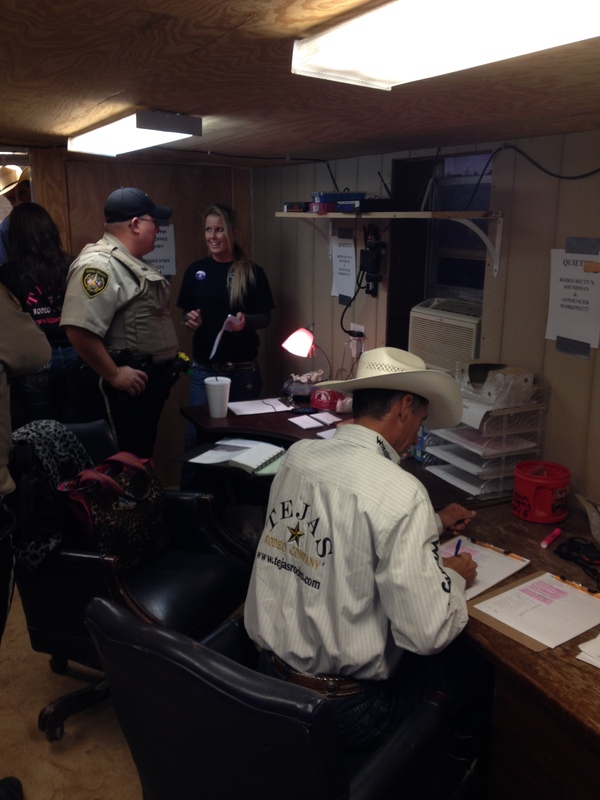 National Finals Rodeo bull riding qualifier Beaver Jernigan working on the draw at Tejas Rodeo. 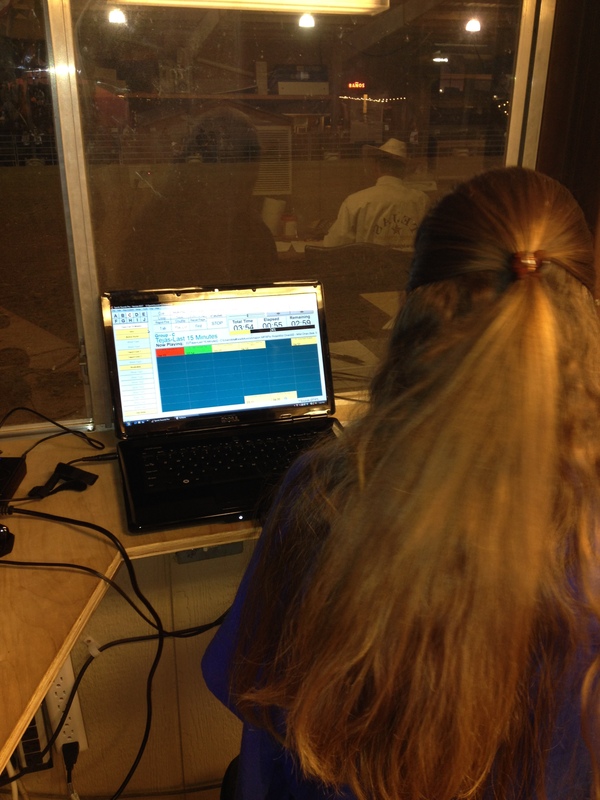 This entry was posted in Tejas Rodeo. Bookmark the permalink. Thank you ma’am. We love rodeo’n with you too!